WeGotTickets: How did you get into being a live agent? Jason Edwards: I’ve had quite a number of different music related jobs over the past 11 years or so: artist manager, music programmer, record label PR, club promoter, club PR manager, stage manager, DJ and journalist to be precise. I’ve learned progressively more and more about the industry through each of these roles and there was a certain point, I think in between being a manager and a promoter, that the booking agency world started to stand out as the most exciting place to be. Initially I started to book tours for some of the acts I was managing, pulling contacts from previous tours and support tours they’d been part of and then started independently booking tours for some other acts. I ended up building a bit of a roster and getting a taste for it. I set up a small umbrella company for the management, booking and PR (handled by my very good friend Stacey Walton) work we were doing at the time and before I knew it – I was a booking agent. Eventually it made sense to move into the context of a bigger company so I was fortunate enough to be offered a position at 13 Artists and things have progressed since then. JE: When I start working with new artists I get obsessed with their music and listen to them on repeat until I know it inside out. I’ve just started working with two artists I am hugely excited about. One is ALMA, a Finnish producer and singer who’s just signed a global deal with Universal and is making some of the freshest pop music I have come across in my career. The other is a remarkable band from the US called The Lemon Twigs who my all time favourite label have just signed, and who everyone that hears them is going nuts for. I’m also obsessed with the new album by Mitski (Secretly Canadian) and the debut from Porches (Domino) that came out earlier this year. I try to listen to as many new releases as possible each week, especially those coming out on the indies. I try to avoid new music playlists, otherwise I find them too distracting, and like to look back in time as much as possible. I’ve been going through a huge Pixies phase and listening to Radiohead’s ‘The Bends’ nearly every day hoping that they play some more tracks from it live this Summer. JE: It’s a state of mind! Cheesy as it sounds, I mean it. I think being “independent” means to have your own ideas and opinions and sticking with them, regardless of the situation or whatever peer-pressure might exist around you. The lines between the “independent” and the “corporate” sides of the music industry are so blurred right now that you can find some very independent thinkers in places where you really wouldn’t expect to find them normally and those tend to be the people making the real differences and achieving the genuine success. WeGotTickets: You represent a diverse roster featuring some of the finest young talent in the world right now (Years & Years, Grimes, Alessia Cara, etc. ), has it been a conscious choice to get involved with more grass roots talent? JE: Absolutely. The biggest thrill in my job still comes from discovering a band at the earliest point possible – sometimes before they’ve even performed live for the first time – and working with them on their journey to sold out shows and crazy festival crowds. Being part of that development curve is a huge adrenaline rush that I don’t ever see myself getting tired of. WeGotTickets: Originally from Scotland, what was it about that scene that had you engaging with it in so many ways (manager, promoter, DJ) early on? JE: I was finishing high school when there was a pretty strong press spotlight on Scotland, Glasgow especially, with the rise of Franz Ferdinand and the scene around them – as well as bands like Biffy Clyro and Idlewild achieving success after a number of years. There was also an exceptional touring scene in Edinburgh and Glasgow. Both cities had some amazing venues that are now either closed or under-used (The Venue in Edinburgh, for instance – an incredible 200 capacity room where I saw some now huge bands play), T in the Park was one of the biggest festivals in the country and there was a real hunger everywhere for all types of music. There were some great club nights and promoters in Edinburgh I got close with, and through either working for or hanging out with them, I got to know some of the bands coming through and just started becoming more involved in the “scene”. I think Scotland has always had this sort of vibe around music, it ebbs and flows in its intensity, but I was lucky to be growing up during a particularly bustling moment. JE: I was quite a late bloomer when it came to going to gigs. I vaguely remember a Radio 1 roadshow in Edinburgh when I was very young but my first ever show was… Robbie Williams at Murrayfield Stadium in 2003. I was 15. He was supported by Kelly Osbourne and Ash… and it was awesome. 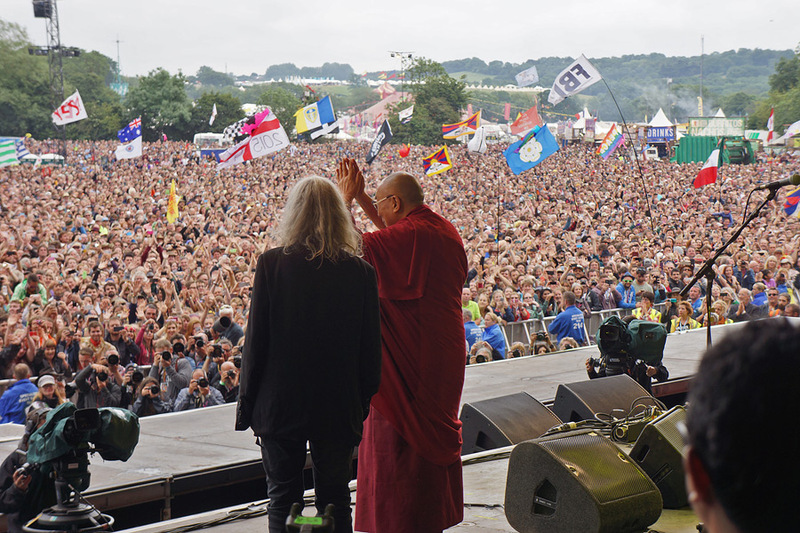 JE: Honestly maybe when the Dalai Lama came on-stage during Patti Smith’s set at Glastonbury last year. I was in a, let’s say, delicate emotional state as it was and when that happened – after an already incredibly intense performance from Patti – I was a mess. It was very powerful. 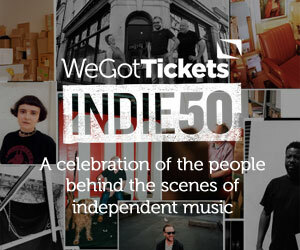 WeGotTickets: How do you go about finding/selecting the artists you represent? 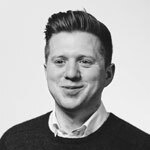 JE: Mostly I hear about acts through a trusted ‘inner circle’ of friends both within and outside of the industry and I do still trawl through a reliable selection of blogs pretty much every day. In terms of selection then it’s still my ears and gut doing around 95% of the work. If I really don’t like something, regardless of its potential, I won’t go for it. This has resulted in some HUGE errors over the past few years – incredibly embarrassing ones where I’ve let now massive acts pass me by – but I don’t regret them. WeGotTickets: The live sector is booming like never before, do you see this as more of a positive or a negative thing? JE: It can only be a positive really. Things aren’t perfect though. Ticket sales on smaller tours are performing in a very unpredictable way across the country. Venues of all sizes are constantly under threat of closure, mostly because of property development. There are still a surprising number of charlatans out there in all fields. Secondary ticketing is an ever-present, ugly immovable stain. Maybe things never will be perfect but whilst we’re in what’s seen as a “boom” moment, we need to take the time to properly address these and adapt our business practices to evolve with the times or we run the risk of a live music recession in the not so distant future. 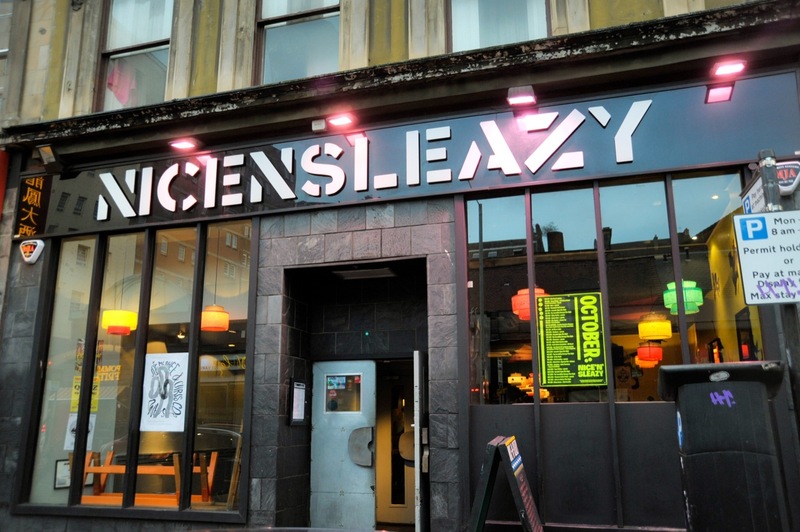 WeGotTickets: Have you got any favourite independent venues? Discovery hotspots or places that have the perfect formula when it comes to presenting an artist in their best light? JE: Nice n Sleazy in Glasgow, The Brudenell Social Club in Leeds, The Deaf Institute in Manchester, Hare & Hounds in Birmingham and The Green Door Store in Brighton. That’s my 5 venue whistle-stop, guaranteed-to-be-excellent tour for any artist. They’re all doing things perfectly, working with the right promoters, sticking to their instincts and roots whilst also looking forward and thinking about how to develop their business and improve their local community. Read more about Jason and the rest of our INDIE50 Judges here.